BSNL has recently released provisional answer key of all shift from 25-09-2016 to 29-09-2016 Online Exam held across India. How to Check My Response sheet? To download BSNL TTA/JE official Question Paper and your online exam response sheet you have to use Roll No. and Password at there official web. 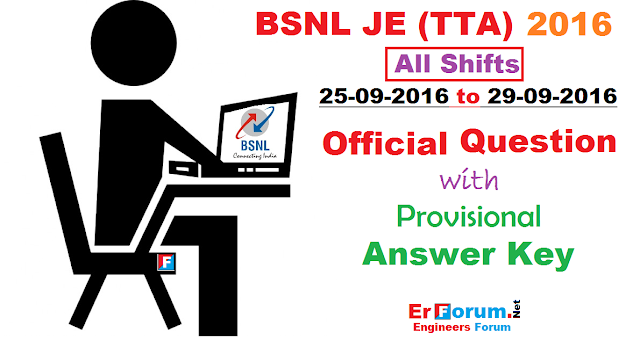 In this post we are sharing BSNL JE 2016 all shift Official Question Paper with Provisional Answer key mention after each question. To download these Online Exam Paper click on the respective date and shift link. These all paper are available in PDF Format. There are lot of errors in answer keys shared by BSNL Official. Candidates may be asked for submission of queries, if any, regarding answer key in the prescribed proforma by email on jtgmrectt@gmail.com or by FAX on 011- 23715511. 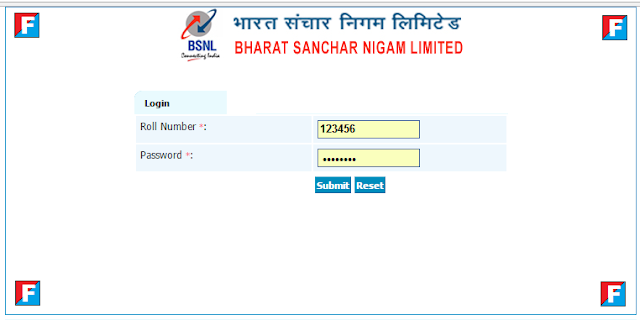 Download Proforma from the above mentioned link put your objection/complain/queries about Provisional Answer key and send it to BSNL at their email: jtgmrectt@gmail.com or Fax on 011-23715511. Queries should reach by 28-10-2016.